A gang of chip-and-pin fraudsters has been jailed after carrying out one of the UK's "most prolific" scams. The gang modified chip-and-pin machines at petrol forecourts in Cambridgeshire, Leicestershire, Kent, Bristol and Sussex, Southwark Crown Court heard. Ringleader Theogenes De Montford, 29, of Hayes, west London, was given a four-and-a-half year jail sentence. He admitted conspiracy to defraud and conspiracy to possess articles for use in the course of fraud. Rajakumar Thevathasan, 34, of Wimbledon, south London, Rashid Hassan, 26, of Anerley, south-east London, and Usman Mahmood, 26, of Streatham, south-west London, were each jailed for three-and-a-half years after being found guilty of conspiracy to defraud. The gang covertly installed devices in chip-and-pin readers that allowed them to clone cards used by customers and steal their money. A small hole was burned in the back of the reader and a memory device and bluetooth reader inserted. On other occasions sales staff at the garages were signed up to the scam. In total the nine-month fraud caused losses totalling £725,000. De Montford, a Sri Lankan national, will be deported upon his release. When he was arrested his laptop was found to contain details for 35,000 cards, 7,000 of which came from just one garage in Maidstone, Kent. Garage franchise owner Amrik Kalsi saw business drop by 47% and his forecourt was subjected to a "campaign of vilification" because customers had money taken from their accounts after visiting it. During a campaign described as "totally unjustified" by the judge, a Facebook group urged people not to use the forecourt and he suffered verbal abuse. Adam Budworth, prosecuting, said: "He [De Montford] was perhaps one of the most prolific chip-and-pin fraudsters in the UK. 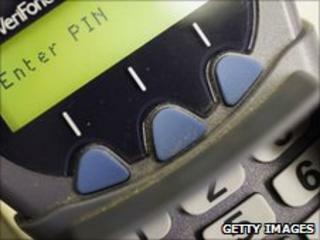 "Since his arrest there has been a significant reduction in the number of chip-and-pin frauds in the UK." Mr Budworth added that the cases highlighted in court were "only the tip of the iceberg". De Montford was a software engineering graduate and used his expertise to carry out the fraud, which could have netted millions of pounds. Recorder Nicholas Rhodes QC told him: "The motivating factor was greed and the huge profits you could make with your skills from this crime."